Product prices and availability are accurate as of 2019-04-05 15:30:16 EDT and are subject to change. Any price and availability information displayed on http://www.amazon.com/ at the time of purchase will apply to the purchase of this product. 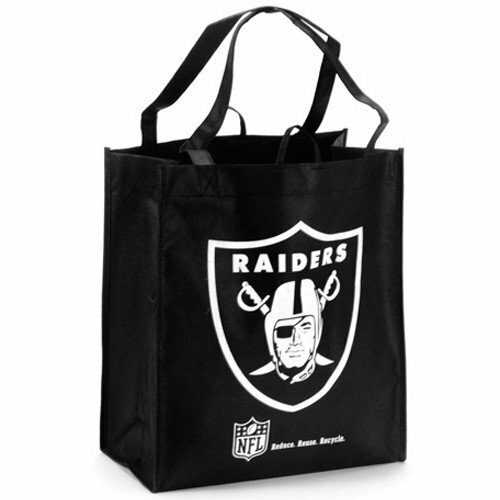 Tote your groceries in eco-friendly NFL style with this Raiders reusable shopping tote!